We’re ready to take on your marketing needs and communicate your brand online. We’re here for all of your Digital Marketing needs. Start winning in just one month. Betsy Peperak holds a Master of Arts in Professional Writing from Eastern Illinois University and a Bachelor of Science degree in English Teaching from Indiana State University. She was awarded a Presidential Graduate Assistantship while obtaining her graduate degree at EIU, where her master’s thesis focused on grant writing. 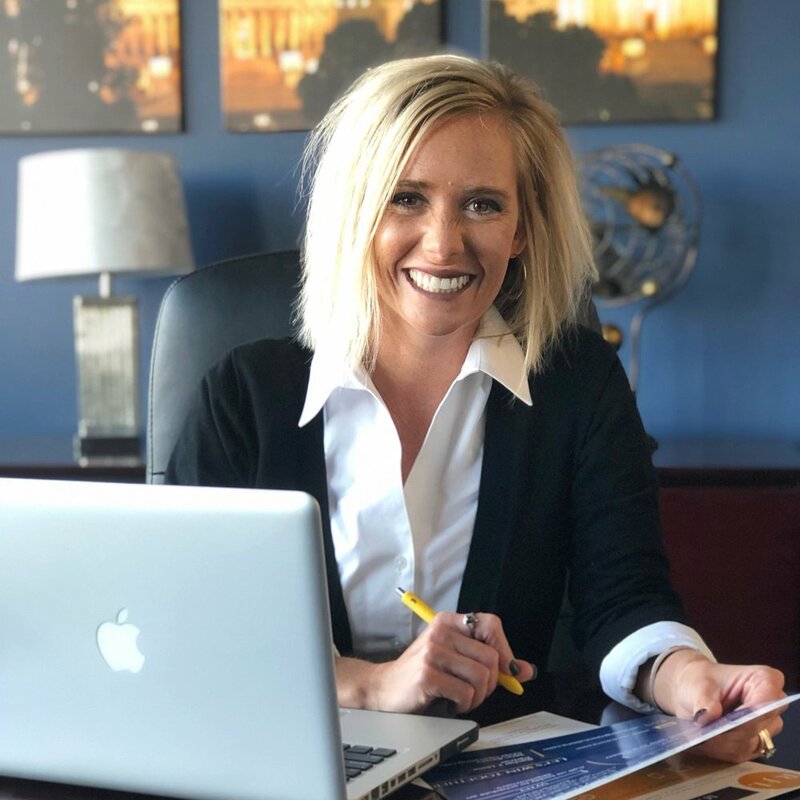 In February 2018, she joined the first fully-online Master of Leadership Development cohort at Saint Mary-of-the-Woods College and looks forward to adding a second master's degree to her list of accomplishments in 2019. As Director of Strategic Communications at RJL Solutions, Betsy is responsible for leading the development of strategic communications programs and elevating the profile of RJL Solutions and its clients. Her department provides services in grant writing, web design, branding, social media marketing and more. Anna Madden graduated from Saint Mary-of-the-Woods College with a degree in marketing in 2018. Anna's expertise in digital marketing includes web development, graphic design, social media marketing, search engine optimization (SEO) and more. As Brand Ambassador at RJL Solutions, Anna helps small businesses and non-profits grow their online presence, giving them the tools they need to be successful in a digital world. She is certified in Google AdWords and Google AdWords Shopping Advertising as well as in Fashion Industry Essentials from Parson’s School of Education and Teen Vogue. Vittoria Meyer graduated from Indiana State University in 2018 with a degree in communication/public relations and a minor in marketing. Vittoria’s education has given her practical experience in campaign and event planning, digital and social media marketing and public relations as she was a member of the university’s PRRSA. As Operations Manager at RJL Solutions, Vittoria provides supplemental help to both the advocacy and strategic communication departments. Her part-time work and previous employment has heightened her abilities to communicate with various levels of stakeholders. Vittoria is passionate about relationship building and enjoys working closely with clients. A native of the region, Vittoria is invested in the growth of West Central Indiana. A Terre Haute native, Hannah has expertise in customer relations, business development, strategic marketing planning and digital platforms. With over 12 years of experience in digital and media sales, Hannah is committed and passionate about the successes and wins of community partners. Her experience is focused on business development and strategic planning through high-level, long-term solutions for businesses of all sizes, with emphasis on brand development, brand awareness, competitive analysis and strategically focused planning to increase market share. Hannah encourages and places a high priority on creativity and versatile approaches to capture and identify new business opportunities while developing high performance campaigns and delivering solid results. Hannah has served on various volunteer boards and committees in the community including the Wabash Valley United Way, Terre Haute Young Leaders, Sponsorship Drive Chair, and Marketing Committee Liaison. As a Purdue Extension Leadership recipient, Ivy Tech graduate, and Vigo County 4H Tenure Alumni, Hannah recognizes the importance of leadership in the community. As Community Outreach Coordinator at RJL Solutions, Hannah facilitates external communications and relations for the entire RJL Solutions team. As a member of the Strategic Communications team, Hannah allows for a high level of responsiveness and readiness as the department continues to build and expand its services. Hannah’s ability to bridge key relationships and unique services provides depth to the RJL Solutions diverse abilities and contracts.